Over the last 3 months, Brampton Manor Fitness And Leisure Centre has been helping those who accepted the challenge to Transform their bodies and lives for the better and it's been such a success, they're doing it all over again - this time, raising money for Ashgate Hospice! 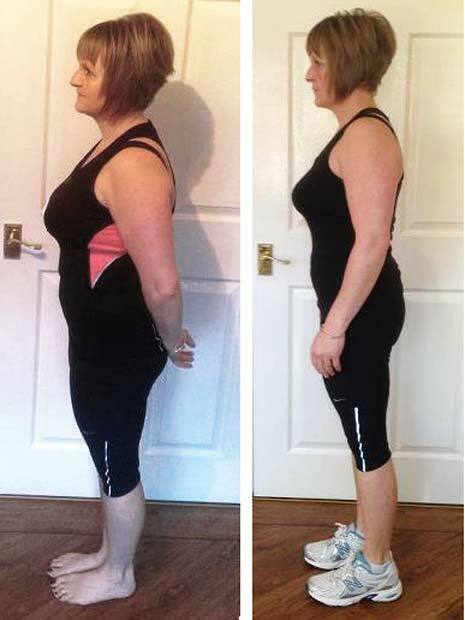 The challenge has now ended with the winner named as Marie Collins, who, as her before and after pictures (below) show, has completed an amazing transformation during the 12 weeks. Marie says about her Challenge win, "I will start with a big 'thank you', to Matt for introducing this challenge to Brampton Manor and his effort and support during the past 12 weeks. "Being on the short side, so to speak - and petite - I've never had the worry of dieting, but was intrigued as to whether this would lose me a few pounds and inches. By cutting out the sugary snacks and eating more protein at meal times, the weight has steadily decreased along with body fat - Result!!! "I, along with other members who have followed this plan, have even had compliments from other gym members, (thank you)! "All I can say is give it a go, be careful what you eat, drink plenty of water and exercise. This has resulted in me losing more than my 12 week target. Until you try it, you'll not know if it will work for you, all I have to do is maintain it! "Good luck to any new Challengers!!!" 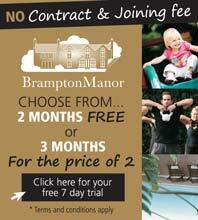 Thanks to the success of this challenge, Brampton Manor are doing it all over again, starting 21st May. And they are inviting more of you to join the challenge, while at the same time, raising money for Ashgate Hospice by getting your family and friends to sponsor you - a great incentive to keep at it! 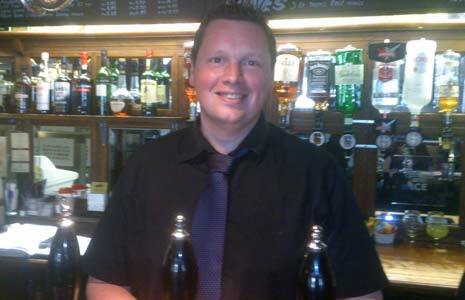 One person who has accepted the challenge is new Bar Manager at Brampton Manor, Andy Turner (pictured below). Andy, who as a child, had a brain tumour and made a full recovery, wants to transform himself but also wants to raise as much money as possible for Ashgate Hospice. Andy said, "I am looking forward to undertaking the challenge here at Brampton Manor Health & Leisure Centre, and seeing the results will make it worthwhile. Come and say hello when you're next in the bar - and maybe add a little something to my sponsorship?" The Brampton Manor Health & Leisure Centre's next Body Transformation Challenge in aid of Ashgate Hospice starts on Tuesday 21st May. For more information on how to take part, call 01246 277760.